If you’re fed up with unstable and uneven cooking over an open fire then Rota BBQ is the answer for you. 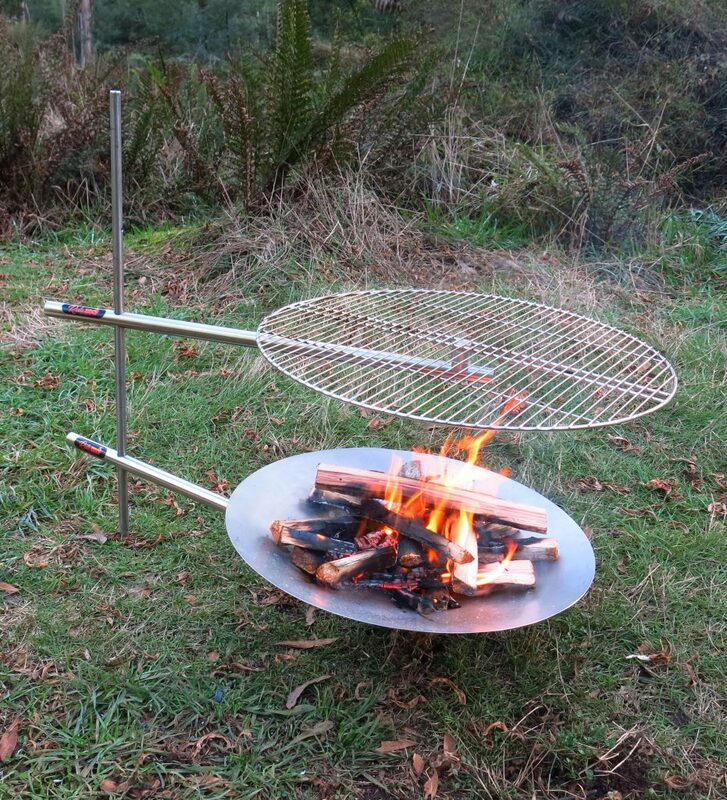 This clever BBQ is designed to allow you to adjust the large circular grill to any height over the fire. The grill can be rotated over the fire and also rotated off the fire for serving without removing it from its support; thus providing complete flexibility in positioning and cooking food over the fire. You simply hammer the stake into the ground, slide the Rota-Arm over the stake, position the BBQ grill and you’re ready to cook! It’s as simple as that. 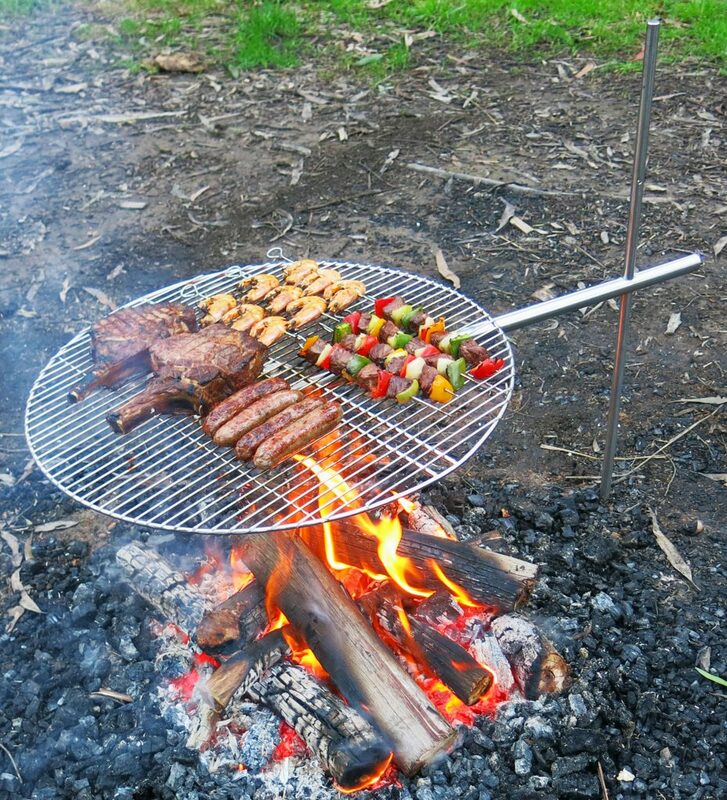 The Rota BBQ is fabricated from tough food grade 304 stainless steel and is ideal for camp fire cooking to picnics in the park. It is also able to be assembled over above ground fire pits as found in some caravan parks or government campsites. After the cooking is done, the three elements of the Rota BBQ are slim in design and easily stow away to virtually take up no space at all. Accessories include an attractive bag for the BBQ grill and a Fire Pit that can be suspended from the same support stake. This allows the Rota BBQ to still be used in areas where lighting a fire on the ground is prohibited. Also available is a light pole that supports a USB rechargeable torch, handy for seeing your food as you’re cooking and can also easily swivel around to light up a log splitting area or just provide general lighting to your campsite.